Swizz Beatz net worth: Swizz Beatz is an American hip hop artist, record producer, and composer, who has a net worth of $100 million. That is a combined net worth with his wife Alicia Keys. Swizz Beatz was born Kasseem Dean in The Bronx, NY, in September 1978. 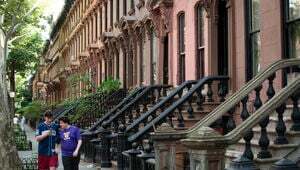 He started to DJ as a teen after being exposed to hip hop in the Bronx. Beatz had some trouble at school and relocated to Atlanta, GA where he worked for his uncles who were CEO's at Ruff Ryders music label. Swizz Beatz started producing tracks at 16 years old. The first beat that he sold was "Ruff Ryders' Anthem" by DMX. He produced popular tracks for Jay-Z and Noreaga by the age of 19. He produced many of the tracks for the Ryde or Die Volume 1 compilation, and produced Eve's first album. He established his own record label with Clive Davis, called Full Surface, in 2001. He signed Cassidy as the first artist on the label. Swizz Beats signed Bone Thugs-n-Harmony and produced their album Strength & Loyalty. He has released two of his own albums, Swizz Beatz Presents G.H.E.T.T.O. Stories in 2002, and One Man Band Man in 2007. He has been ranked by About.com as the #27 Greatest Hip-Hop Producer, and in the 20 greatest producers by The Source. Kanye West has even called Beatz "the best rap producer of all time". Swizz Beatz is married to R&B singer Alicia Keys and the couple has one child together. He was featured on the track "Fancy" by Drake featuring T.I. which reached #1 on the US Rap chart. 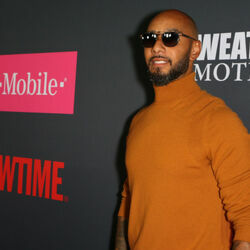 Swizz Beatz won a Grammy Award in 2011 for Best Rap Performance by a Duo or Group for "On to the Next One" (with Jay Z). He has also been nominated for Grammy Awards for "Fancy" (with Drake & T.I.) and as a songwriter for "Famous" and "Ultralight Beam". Swizz Beats won a BET Hip Hop Award in 2010 for Producer of the Year. 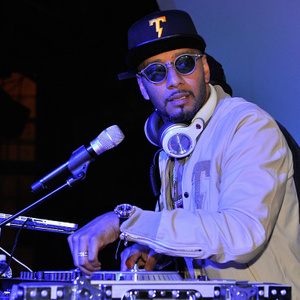 Between September 2017 and September 2018, Swizz Beatz earned $15 million, thanks in large part to a multi-million endorsement contract with Bacardi.